Mark R. Harrison, D.D.S. 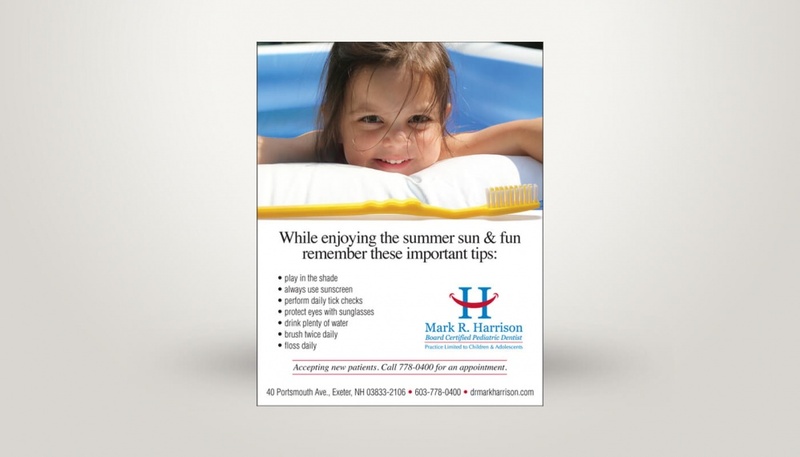 is a leading pediatric dentist in Exeter, NH. He is a Diplomate of the American Board of Pediatric Dentistry. 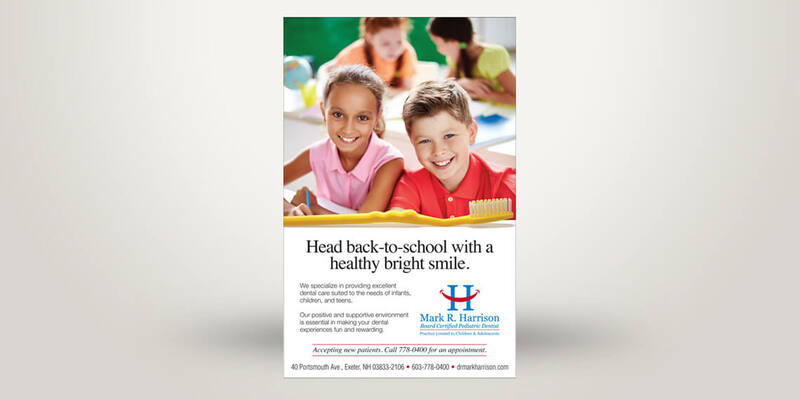 Dr. Harrison’s practice offers comprehensive dental services, including sealants, fluoride treatments, tooth restorations, and regular checkups. 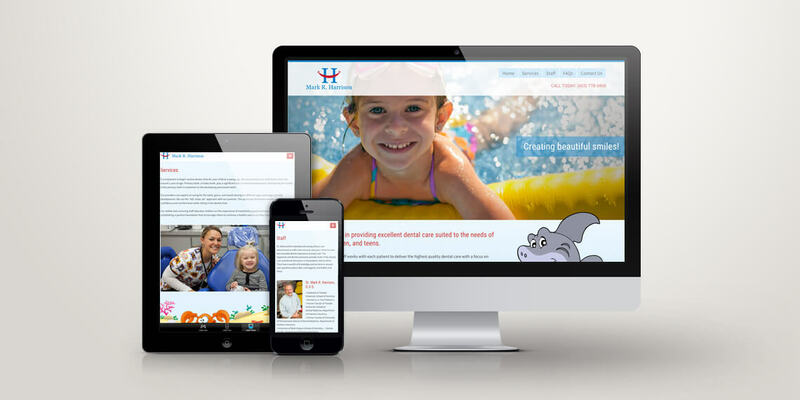 Dr. Mark hired ecm design to create a new web site that better reflected his kid friendly office and his talented staff. 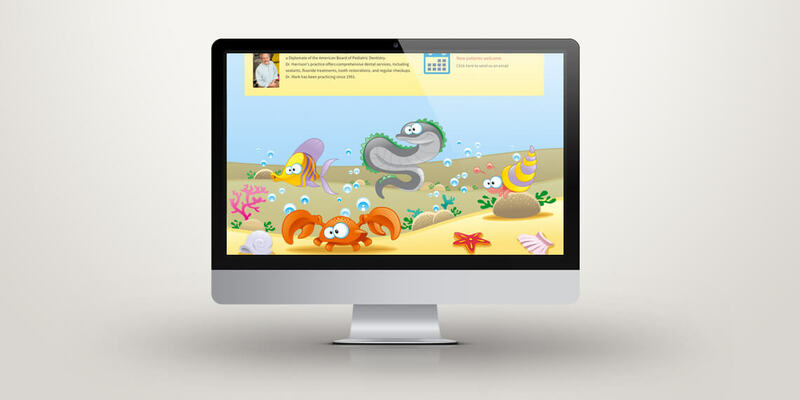 ecm delivered a content managed, responsive web site with a fish theme that plays off the bright primary colors and the fish tank in his office. As part of the rebranding, ecm also created a new logo.